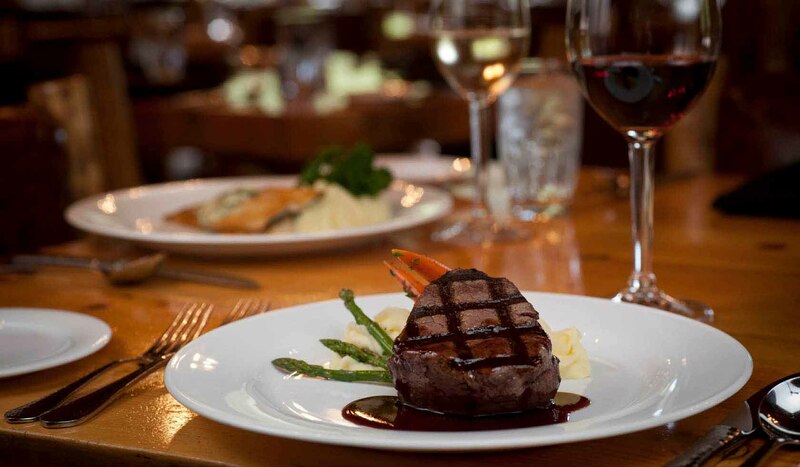 Feel right at home at the 320 Guest Ranch Steak House restaurant, located right on the ranch. Enjoy gourmet food, the house favorite Stoli-Doli signature cocktail, or a bottle of wine from the varied and moderately priced wine list. The restaurant, operated by ranch staff, is open from June 7 through October 9 and again from December 10 through April 4. The atmosphere is cozy in the winter and casual in the summer as you enjoy the views from the deck. Dinner entrees range from Elk with a Port Wine Demi Glace and Wild Game Meatloaf to Pan Seared Trout and Oven Roasted Duck. The menu is diverse and will accommodate everyone's taste buds, even children's.